Research has shown that commitment and well-being at work are fostered by a sense of being treated fairly, and that withdrawal or antagonistic behaviours stem from a sense of being treated unfairly. However, feeling fairly treated is not limited to “a fair pay for a fair day of work”. It also relates to the way in which decision-making processes and human interactions are assessed. A two-step heuristic process has thus been developed to help managers build environments that employees consider fairer. What with his new responsibilities at work, family obligations with his three young children, social dates with friends and his tireless enthusiasm for Vinyasa yoga, Matthieu has little time for one-to-one conversations with the members of his team. As a result, he often invites his employees to work dinners. A female colleague has recently joined the team. When he invited Caroline to dinner one evening, he sensed that she was uncomfortable with the suggestion. Another female colleague confirmed that Caroline had considered the invitation ambiguous and disrespectful. Matthieu has just received the results of a survey. Lots of customers would like the company’s shops to stay open over lunchtime. Matthieu is looking for the most efficient way to proceed. He reduces the lunch break to 45 minutes and organises a schedule where half of the staff take their lunch break at noon and the other half at 12.45. The day after the new schedule is introduced, the employees are angry because no one asked their opinion. They give notice of their intention to strike. Matthieu is facing what organisational behaviour research calls feelings of organisational injustice (Cropanzano and Ambrose, 2015)*. Studies have, on the whole, shown that there are three main ways in which workplace justice and injustice are played out in the hearts and minds of employees. Firstly, people react to the way they are treated in human interactions. Are they shown respect? Is the manager empathetic, especially when it comes to announcing bad news? Are employees provided with the information they need and do managers take the time to explain and justify the decisions made? These aspects are experienced as genuine feelings of interactional justice. Caroline’s reaction shows that she felt a lack of interactional justice. Secondly, when a decision is announced, employees judge whether the decision-making process was fair. Was the same procedure followed for all concerned? Was it possible to appeal the decision? And, most importantly, were employees given the opportunity to express themselves? Employees effectively expect their manager to seek their opinion before making a decision that affects them, even if the final decision does not go their way. Here, we are referring to feelings of procedural justice. The employees who had a new break schedule imposed on them thus felt a sense of procedural injustice. Finally, and this is generally the most easily identified form of injustice, employees judge whether their symbolic and tangible compensation (pay rises, bonuses, signs of recognition, the resources necessary to perform their assignment, etc.) is consistent with the contribution they make to the company (their qualifications, intelligence, talents, investment, time, etc.). These reactions are called feelings of distributive justice. Hervé feels he has suffered distributive injustice. Once they have identified these three types of perceived justice or injustice, managers can act by following a two-step heuristic process. They must first determine whether the injustice can be corrected directly at the level at which it occurred. A feeling of distributive injustice related to salary, for example, can sometimes be addressed by agreeing to a pay rise. But research has also shown that there is an interaction between the different feelings of justice, which means that one type of perceived injustice can actually be addressed by increasing another type of perceived justice. Feelings of distributive injustice, in particular, can often be corrected at the procedural or interactional level. Caroline felt mistreated from an interactional perspective. Matthieu can easily solve the problem at this level of interaction, “Caroline, I don’t have much time for face-to-face meetings, so I usually schedule them as dinners after work. I do this for the whole team. You’re the first woman to work in my team. If you don’t mind, I suggest that I treat you like the others. My invitation is not personal in the slightest and I want there to be no doubt about that.” By providing information and showing empathy, Matthieu resolves the problem. Similarly, the employees who gave notice of their intention to strike did so because they had no say in the matter in question. Matthieu can solve the problem by asking their opinion, “To increase our turnover, we need to keep our shops open over lunchtime. We’ve just seen a survey showing that this is high on our customers’ list of expectations, so we have decided to make the change. There are several ways of implementing this decision and I would like to hear your thoughts on them. We are going to organise focus groups and then I will make the most appropriate decision to ensure the best conditions possible for you to open the shops.” Employees will therefore feel a sense of procedural justice and will be more accepting of the final decision because they have been able to influence it. On the other hand, Matthieu cannot increase Hervé’s salary. The new employee has a salary 10% higher than Hervé’s because the market salary for this type of position has increased significantly this year. The company cannot immediately implement a catch-up process for all employees previously recruited to the same position. Compensation can only be harmonised over a period of several years. The sense of distributive injustice felt by Hervé cannot therefore be remedied at the distributive level. 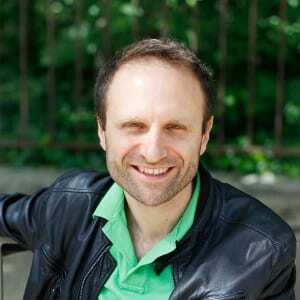 Matthieu can nonetheless explain the procedure used to determine salaries and can show that it is stable, constant and unbiased. He can discuss the criteria applied, including the criterion of aligning new recruits’ salaries to market wages, thereby enabling him to reduce Hervé’s feeling of distributive injustice by increasing his feeling of procedural justice. Finally, Matthieu can take the time to meet Hervé, show that he is empathetic to his case, provide him with emotional support and apologise for the situation. He can also remind Hervé how much he appreciates his contribution. These elements, when sincere, are likely to foster feelings of interactional justice and compensate for Hervé’s feeling of distributive injustice. Managers who learn to identify the types of injustice felt by their employees and to apply this two-step heuristic process will be able to effectively rectify feelings of injustice, thereby creating work environments that are conducive to well-being and commitment. Justice is not only about what we receive, it also relates to the way in which decisions are made and communicated. * Cropanzano R., S. & Ambrose M. L. (2015). The Oxford Handbook of Justice in the Workplace. New York : Oxford University Press. I have a PhD in organisational behaviour and I am also an associate professor of economics and management. An experienced manager, I am a certified coach and trainer in leadership and team management, driving change and inspiring employee engagement. My research focuses mainly on feelings of fairness, emotions and well-being in the work place. I presented psychological experiments for the television programme “Leurs secrets du Bonheur” (Their secrets of happiness) on France 2 and since 2015 I have been scientific advisor to “Positive Psychology” magazine. I regularly write articles about modern management. Nadisic T. (2018). 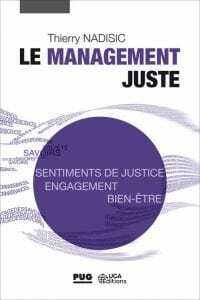 Le management juste : Agir pour favoriser les sentiments de justice au travail. Grenoble: UGA Editions, 94 p. ISBN 978-2-70614-228-4. Fortin M., Nadisic T., Bell C. M., et. al. (2016). Beyond the Particular and Universal: Dependence, Independence, and Interdependence of Context, Justice, and Ethics. Journal of Business Ethics, 137 (4): 639-647. DOI 10.1007/s10551-015-2823-x. Nadisic T. (2016). Managers: how being fair leads to greater commitment. Knowledge@emlyon, March 31st, 2016. How do feelings of justice and injustice play a role in employees’ commitment in their work? What are they characterized by? Concretely, what actions can a manager take to manage fairly?